« Tapping for Maple Syrup near Bethany, Ontario! Great News for Bethany Ontario! An announcement made on April 7, 2015 is good news for Bethany Village. Ontario has awarded a $1.2-billion contract for the completion of Highway 407 East. 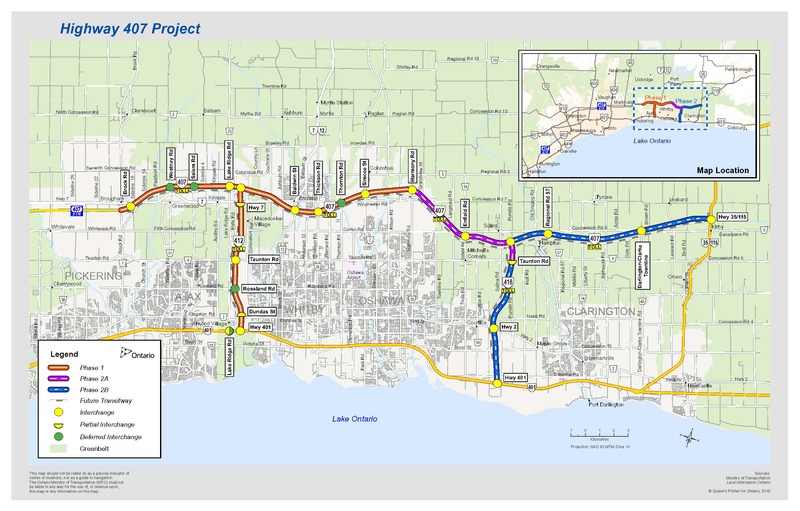 The project will extend Highway 407 from Oshawa to Highway 35/115, which connects to the Kawartha Lakes and Peterborough areas, and will also link to Highway 401 just east of Oshawa. Blackbird Infrastructure will be responsible for the design, building, financing and maintenance of the final phase of the project. Construction is set to start in the fall of 2015 with completion projected for 2020, with the first section set to open in December 2017. The first phase of Highway 407 East that runs from the end of the privately owned 407 ETR at Brock Road near Pickering to Harmony Road in Oshawa is set to open by the end of this year. A slight difference will be the fact that the province will set, regulate and collect the tolls themselves; tolls are expected to be lower than on the privately owned 407 ETR. The 407 extension will provide Bethany residents and visitors with easy access to some of the most beautiful property in Ontario – and a mere 15 minutes away from Bethany Village!